GTC is a licensed and accredited investment manager. GTC Management Company (GTC Manco) currently runs eleven bespoke unit trusts. These are intended exclusively for the use of GTC clients who have been through the wealth management and financial advisory process with either a GTC wealth manager, a GTC retirement fund consultant or through the services of one of GTC’s strategic partners. Within GTC the administrative process and the product construction resides with GTC Manco. The investment process is undertaken within a division of GTC – Investment Analytics. GTC’s Investment Analytics capability provides a comprehensive investment consulting service. This typically begins with the devising of a specific and bespoke investment strategy for each client, progressing to the determining of relevant performance benchmarks, through to the portfolio construction and ultimately to the investment solution (and the ongoing monitoring thereof). GTC is an independent investment manager, selecting specific asset managers, stockbrokers, or investment bankers dispassionately through a formal investment committee process. In addition to a complex quantitative research process, investors benefit from GTC’s close working relationship and qualitative review processes of the selected asset managers. Both cost and tax efficiencies are ensured through this direct access, diametrically opposed to the traditional layers of retail pricing. Specialised and personalised risk-profiled investment solutions are structured for both private and institutional clients, established and monitored through an investment policy document. All investment management conducted by GTC is on a multi-managed segregated mandate basis rather than on a fund-of-funds basis whereby retail unit trusts are wrapped together. Creating a range of risk profiled GTC unit trusts based on a quantitatively apportioned manager-diversified basis allows GTC and supporting strategic partners numerous benefits for their clients including tax efficiency; complete oversight and administrative control of the underlying selected stocks and the avoidance of unnecessary and additional multi- manager charges and processes. 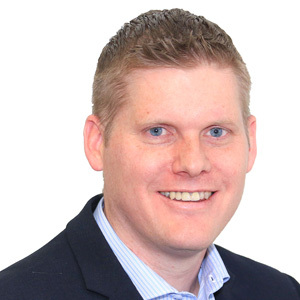 Clive Eggers is Head of Investment Analytics and is responsible for leading a team of locally based investment professionals who provide a wide range of investment services including multi-management, traditional investment consulting services and transition management. Clive has a BCom Business Finance Honours Degree from the University of Natal (Pietermaritzburg). He is a Certified Financial Planner (CFP®) and a Chartered Financial Analyst. Clive joined GTC in 2014 in his current position following the acquisition of Brockhouse Cooper by GTC. Clive is passionate about assisting clients to find optimal solutions and is integrally involved in offering clients investment advice, transition management and products that allow access to the world’s best asset managers on a cost effective basis. He has spoken at a number of industry conferences and training events.